Zur Ausstattung unserer Suiten gehören elektrisch verstellbare Betten mit exklusiven „Träum schön“ Matratzen. Bathrobes, slippers, cosmetic mirror, hair dryer and other toiletries are available. Our outdoor friends will also find a hiking bag, umbrella and rain-cape in your room. 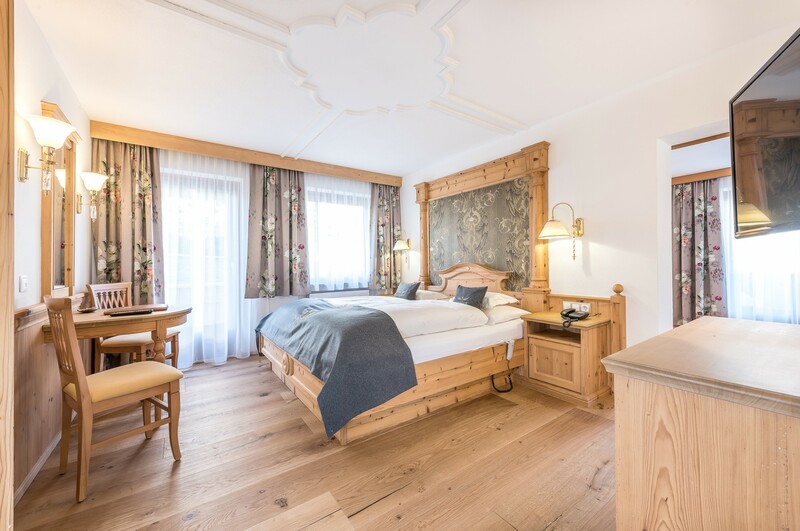 The bright and friendly suite with sunny south-facing balcony and Tyrolean wooden flooring is very comfortable for 2-4 guests. 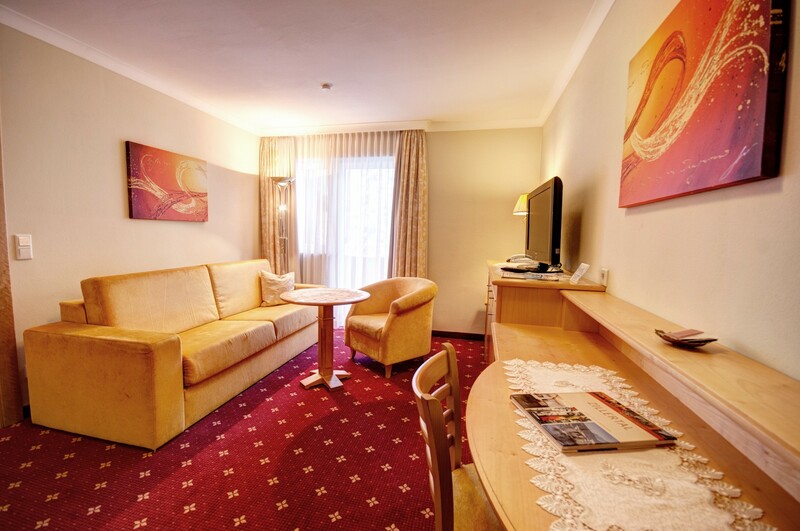 Tyrolean wood, noble fabrics, cozy seating bay and warming Tyrolean tiled fireplace ensure homely evening hours. Spacious walk-in showers with integrated infrared heating for your special shower experience and separate WC offers the highest comfort. 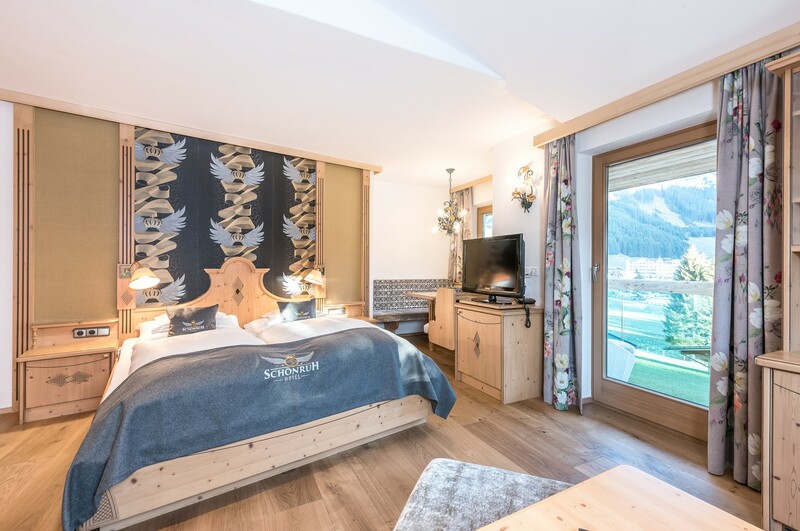 Bright, spacious suite for 2-5 persons with south-west or south-east facing balcony and Tyrolean wooden floor. 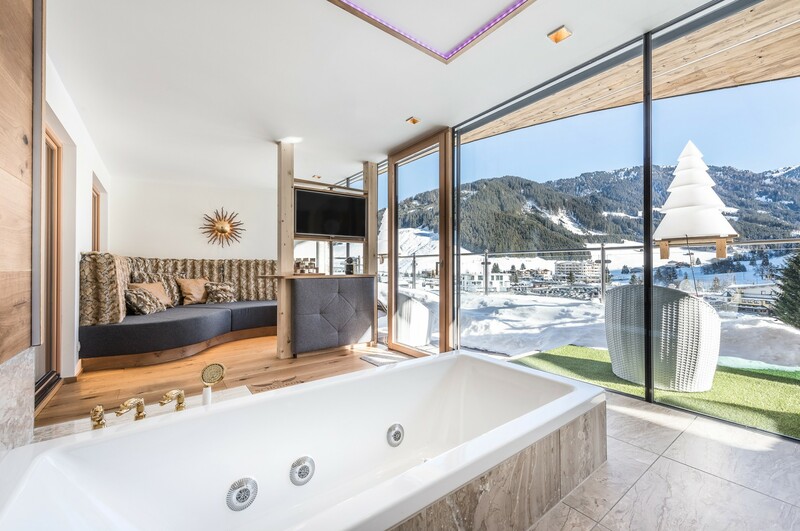 The living area is partly separated and has a warming Tyrolean tiled stove for cozy evenings. 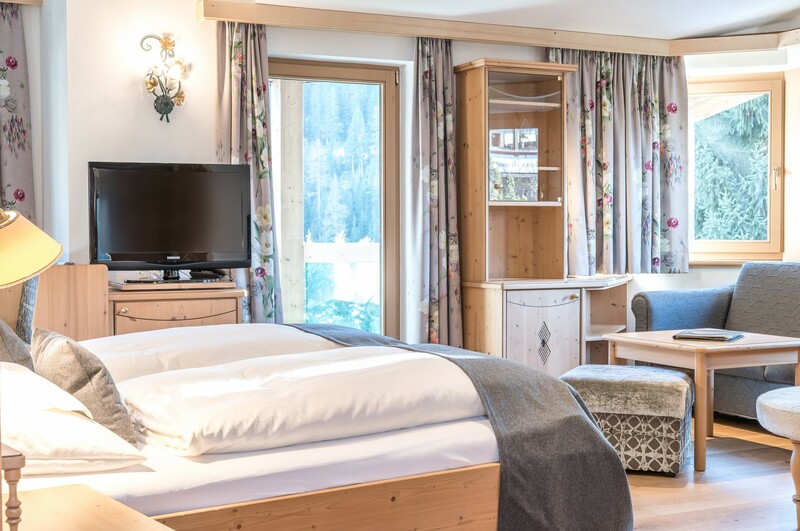 Tyrolean wood, fine fabrics, partly 2x cable TVs and separate WC offers the highest comfort factor. Roomy walk-in shower with integrated infrared heating for your special showering experience. 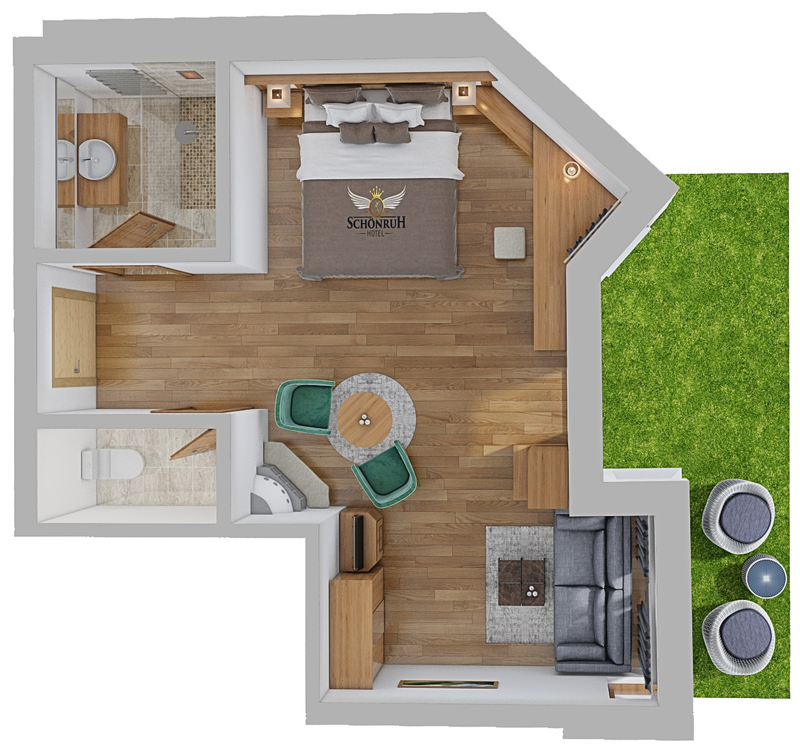 Partly also with bathtub. 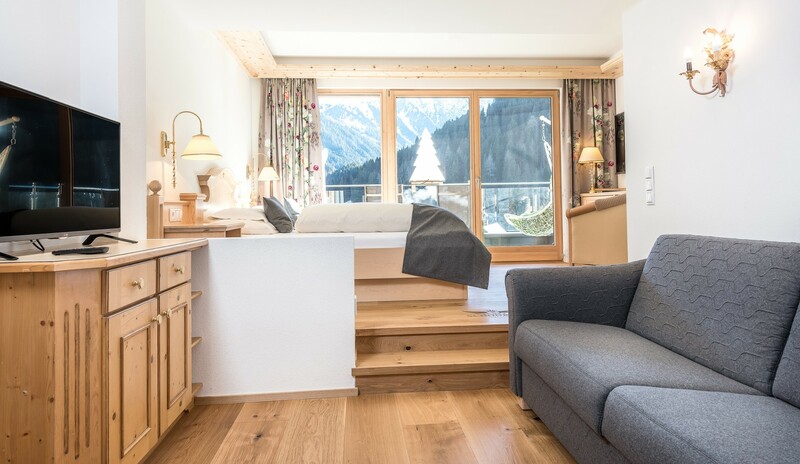 This luxurious suite with Tyrolean wooden floor for 2-4 persons convinces with its exclusive facilities, the panoramic view as well as a lot of space for your well-being. 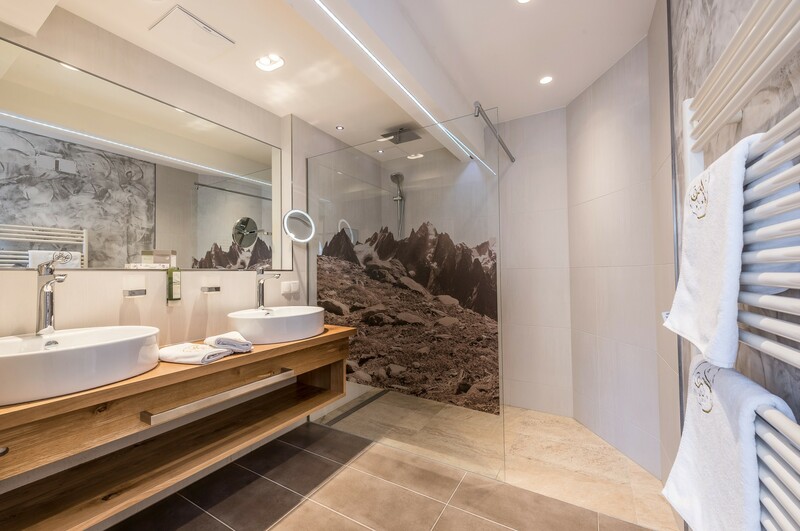 A highlight is the in-room Private-SPA with relax sauna and infrared additive, a jacuzzi tub, which spoils with pure relaxation as well as a magnificent mountain panorama. 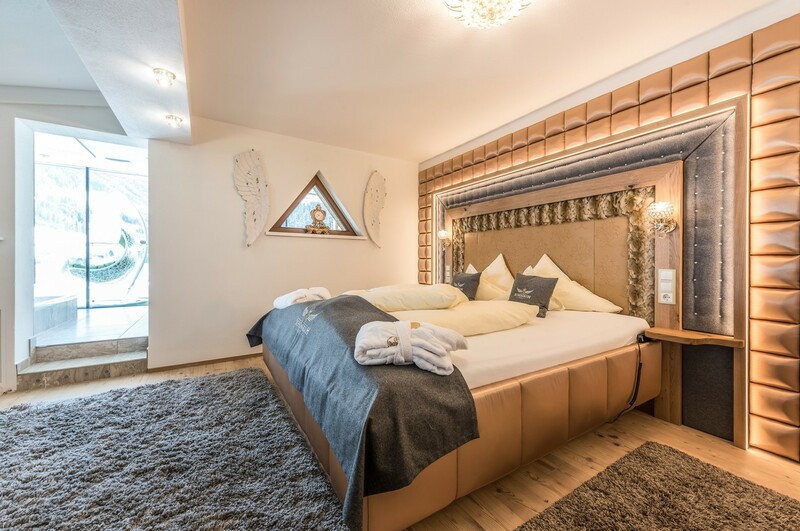 King-size beds with 210 cm as well as the Schönruh ”dream beautiful” mattresses ensure a pleasant night's rest. 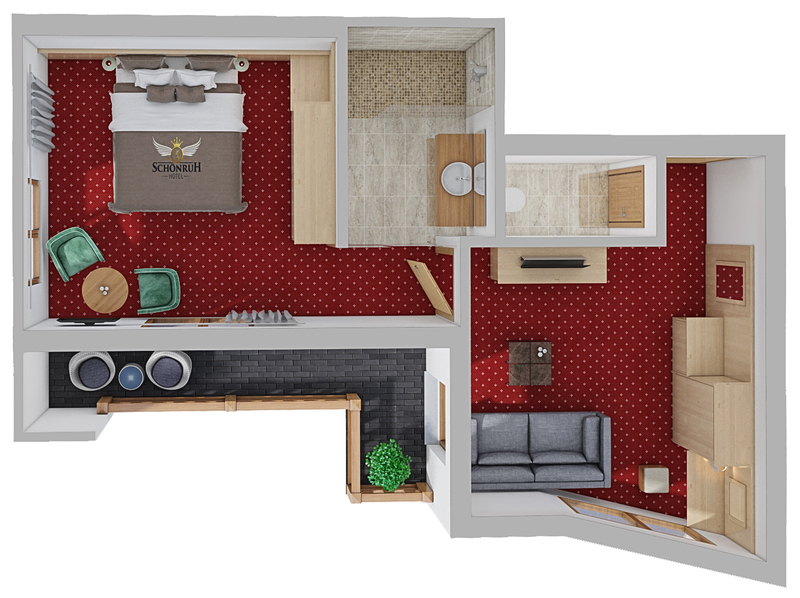 Two separate toilets, a walk-in wardrobe and three TVs also offer the highest level of comfort. 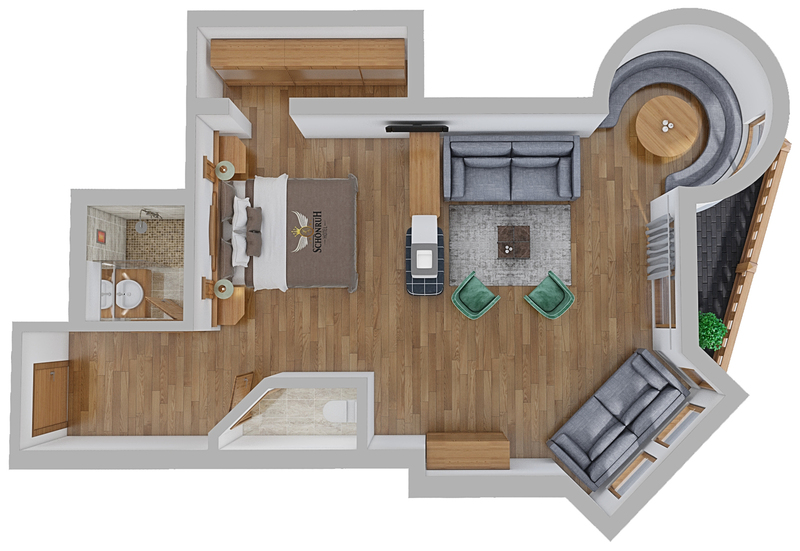 The separated living area with an espresso machine invites you to linger. 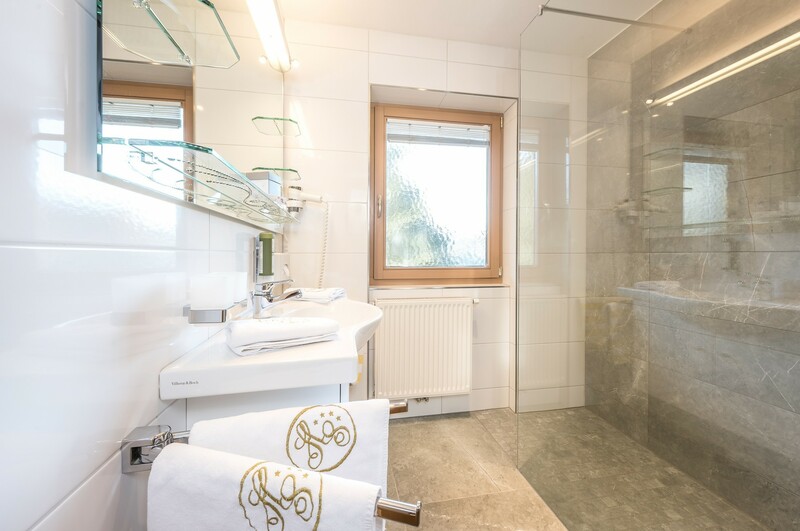 The Kaiser Suite has a large bathroom with inviting walk-in shower. 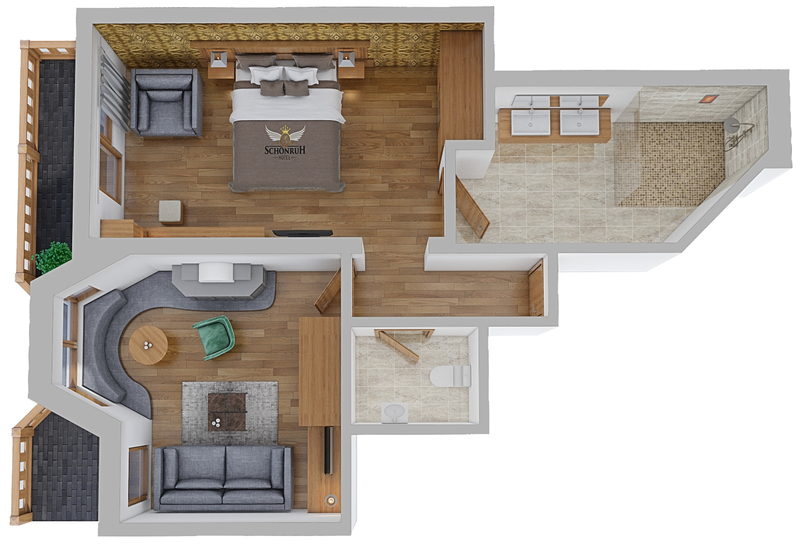 A spacious suite for 2-5 persons with south-west or south-east facing balcony. 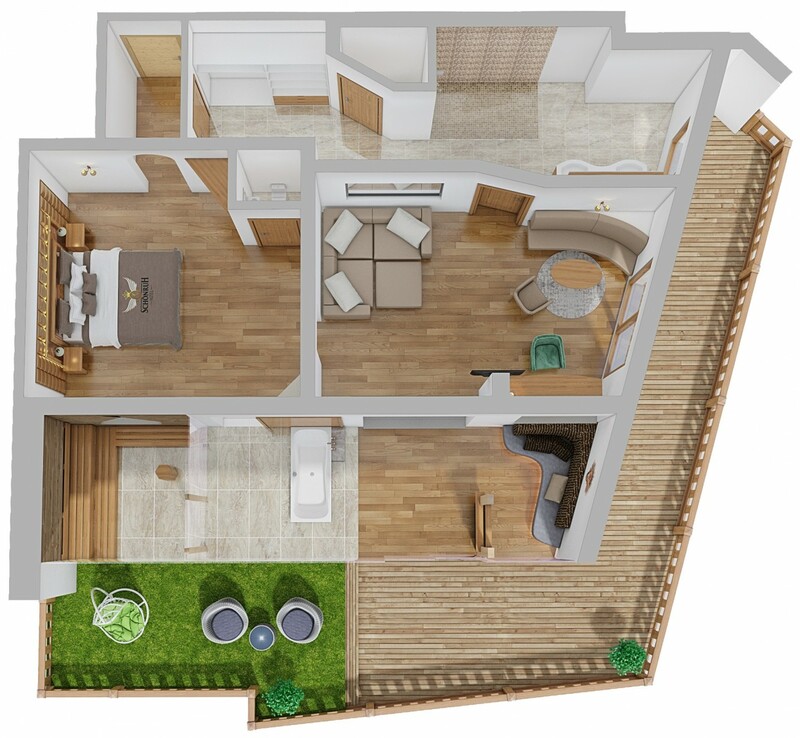 The separate living area is a place of calm and invites you to linger. 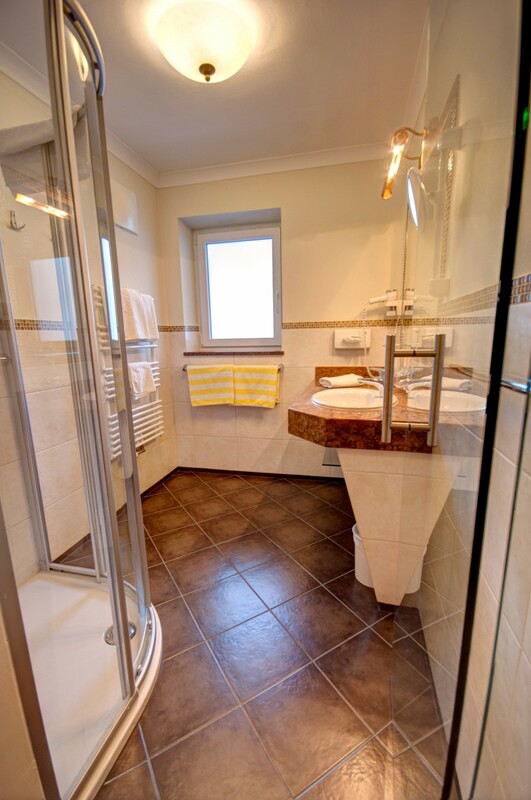 The individual equipment with walk-in shower, separate WC, two TVs guarantees the best comfort factor. 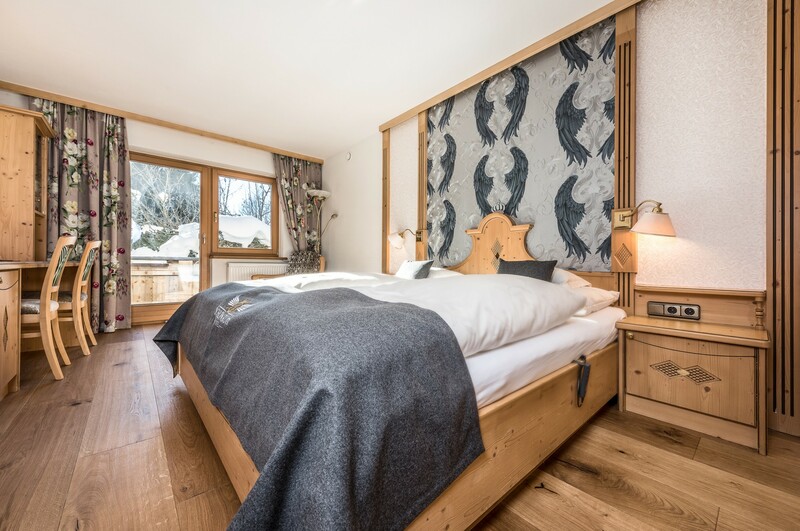 This cosily with light wood furnished suite, with a south-facing balcony and Tyrolean wooden floor, is the oasis of calm for 2-5 Persons. 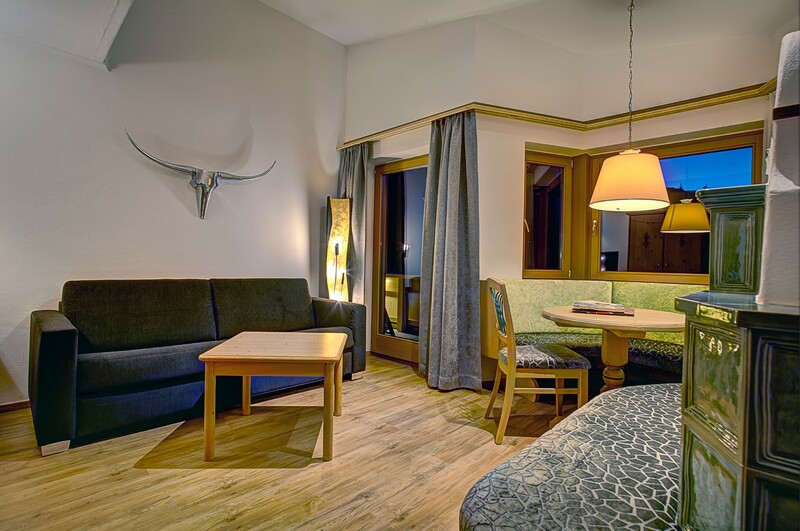 The separated living area has a cozy seating bay and a warm Tyrolean tiled stove, which invite to convivial evenings. The suite has two modern bathrooms with separate WCs. 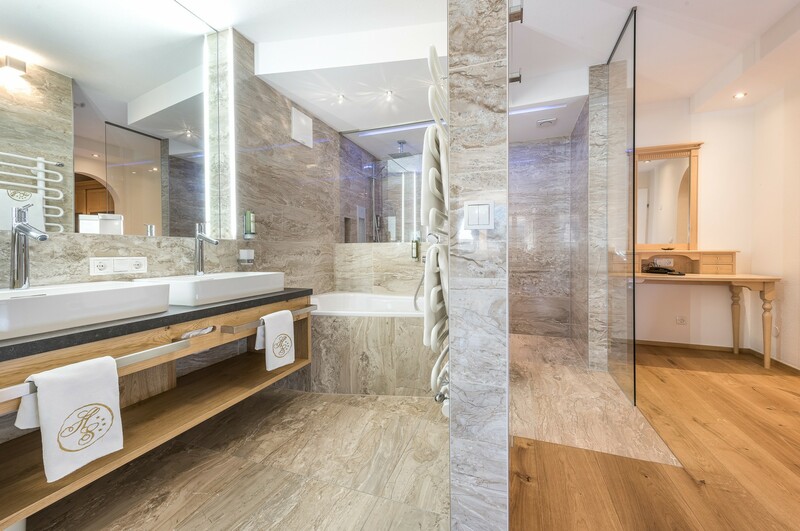 Spacious, walk-in showers with integrated infrared heating for your special showering experience.